Who knew motion capture monkeys would be the of the most affecting blockbuster movie characters of the last few years? But here we are. As we prepare to wrap up the trilogy (though one producer said there could be more movies down the road), 20th Century Fox has unleashed a ferocious new trailer for War for the Planet of the Apes. This War for the Planet of the Apes trailer has damn near everything you need from a concluding chapter. We’ve got high stakes, legitimate question about whether our favorite characters survive, and Woody Harrelson as a General Kurtz-ian villain. Okay, maybe that last part is overly specific, but every coda needs a strong antagonist, and he certainly looks the part. This looks exciting and emotional and poignant, all the things we’ve come to expect from this new round of Planet of the Apes movies that started with Rise of the… and upped the ante last time with Dawn of the… This has become perhaps the most fully realized Hollywood blockbuster franchise in recent memory. I’m really curious to see if this saga continues past War for the Planet of the Apes. Critics heaped praise on them for content as well as technical achievement, and perhaps most importantly, they’ve made money (Dawn topped $700 million globally). Producer Peter Chernin told Cinema Blend recently that War marks the end of this arc, of this trilogy, but didn’t rule more movies. He noted that “what we’re trying to do is get as close up to the original Planet of the Apes” as possible. Not only does that imply that the humans lose this round (though the Apes will likely suffer serious losses as well), but we see hints of what’s to come, especially with the young mute girl, a precursor to the speechless humans Charlton Heston finds in the 1968 original. 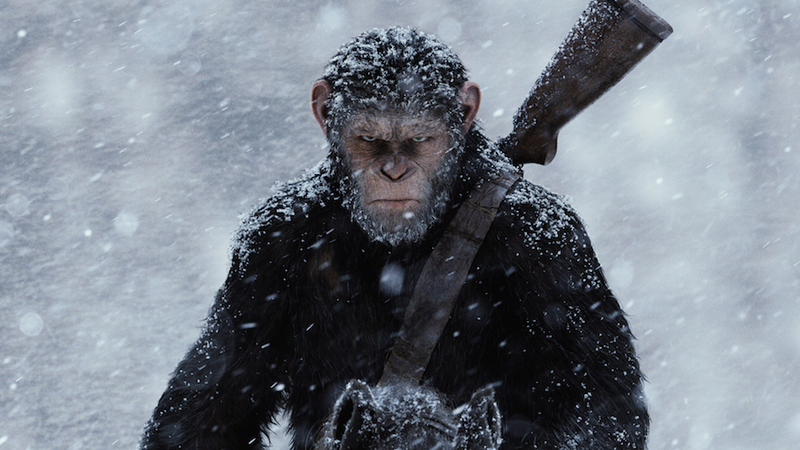 Directed by Matt Reeves, War for the Planet of the Apes hits theaters July 14, and we can’t wait to see if placing it on our most-anticipated movies list was worth the time.